March | 2016 | Nicholas Hoffman & Co.
What can help us understand ”Millennials” – the next generation of US spenders? How about the research team at Facebook? When it comes to being plugged into Millennials (those currently aged 21-34), Facebook should know. Millennials are their wheelhouse, so when I heard they had just published a Facebook Market Study about this interesting group, I was all in. The study, “Millennials and Money: The Unfiltered Journey”, may be self serving, given that the 70 million people that make up the study group are no doubt mainly Facebook users. As they say “facts is facts” and the data that the researchers at Facebook uncovered is compelling and insightful. Millennials are often characterized as desiring instant gratification so it may surprise you that they are also very cautious, responsible, diligent about debt management, and avid savers. Why track and understand this group? One reason is they are going to inherit an estimated $30 trillion from their baby boomer parents. Secondly, knowing how 70 million consumers think about spending might yield some useful investment trends. The Facebook study reveals that the Millennials feel very disconnected from the financial services industry, and the world of investing. The average Millennial is 27-years old, highly educated, unmarried, and almost half have household incomes greater than $75,000. The number one goal for baby boomers is retirement planning. The two main financial goals for Millennials were paying down debt and saving money. The desire to be debt free is so strong that 46% believe “financial success” means being debt free! Only 13% state that being able to retire is the definition of financial success. This drive to pay down debt is manifested in the fact that 57% pay cash, or use a debit card, when making purchases. Given that the second most important goal is saving, one might think that Millennials would love to be investors, but this is not the case. Saving and investing are two separate things to Millennials, and this well educated group feels very under educated when it comes to investing. Moreover, Millennials do not feel they have a financial plan, or access to anyone that can help them plan. This lack of connection to the financial world means they have little in the way of loyalty to an advisor. Millennials as a group are value oriented and they will reward those that create value for them. They are looking for three things from the people with whom they do business, and I suspect this is the biggest take away from the study. They want to be rewarded for their loyalty, they want convenience and ease of use, and they want honesty from their business relationships. For those who want to connect with this market, remember that these avid users of social media will readily share their experiences, good or bad – and you better get fluent on your mobile device. 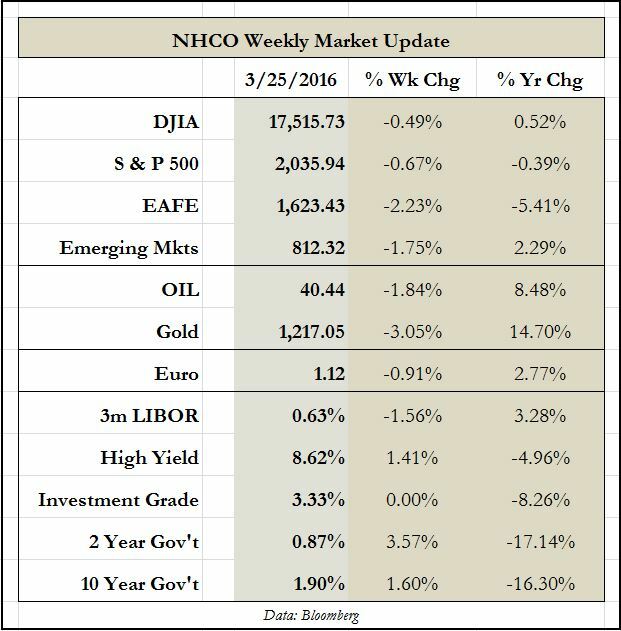 This entry was posted in The Weekly and tagged Debt, Facebook, millenials, Saving, Social Media on March 28, 2016 by nhoffmanandco.